Enjoy the alluring colors of Envision Distinction®, and make your home the star of the neighborhood. 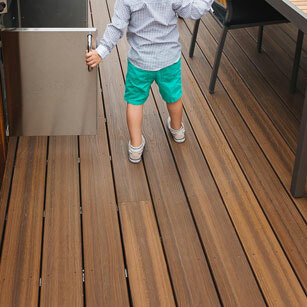 With this luxury line, no two decks are the same – each composite board features a random wood grain pattern and bold highlights in each board. The Distinction line offers unmistakable shades to provide numerous designs and patterns perfect for your needs. 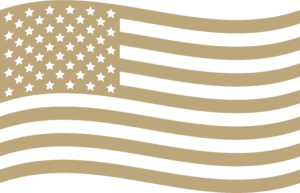 Each composite board boasts four to six colors and highlights. A natural wood design featuring a deep grain and the look of tree knots. Pick from four multi-tinged color options within the Distinction line, each that emulates the natural coloring found in the trees in your backyard to the most exotic trees. Where no two boards look exactly the same – from browns, to reds and even greys – the Distinction line fits your tastes without the frustration of staining your wooden deck boards. A variety of greys evoke the vision of a morning fog coming off the cape, as you enjoy a cup of coffee or tea in the brisk wind. The smoky coloring offers the perfect escape as you start or end your day. 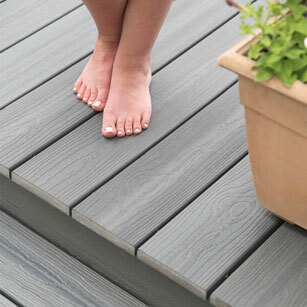 Deck boards featuring dark chocolate and light creamy brown shades that capture the unrefined essence of a walnut tree. Providing your home with rich and warm colors to evoke memories of the candy your grandparents snuck to you as a child. Envision relaxing in a grove of trees on an autumn day or jumping in piles of leaves as a child. Electing for a Shaded Auburn deck brings the reds and browns found in nature home to your deck. Decks featuring Spiced Teak are reminiscent of your favorite spices mulled together, allowing you to drink in the various browns ranging from caramel, cinnamon, coffee and syrup. 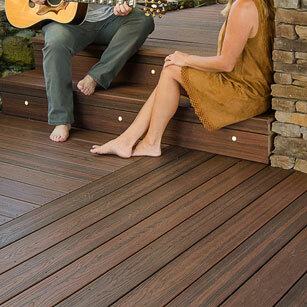 Savor the sights and smells of the outdoors with your Envision Distinction® deck. Your own home away from home is closer than you may expect – right out your door. This oasis allows you to relax and enjoy a place where memories happen with your family and friends. Contact an Envision® Pro today to design your Envision Distinction® deck, and to view a plethora of boards for the color scheme you desire to match your style and essence. While Envision Distinction® decking is an ideal option for enhancing the look of your home, these products are nonstructural. Envision® Composite Decking should not be used in a structural manner, including use as joists, load-bearing columns, stringers, or beams.